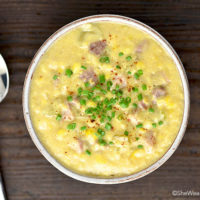 A bowl of this easy Ham and Corn Chowder is filling and flavorful and perfect for a chilly day. 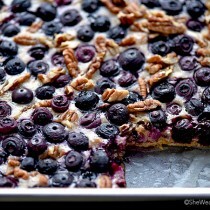 Sometimes leftovers are better than the first serving. This is one of those times. 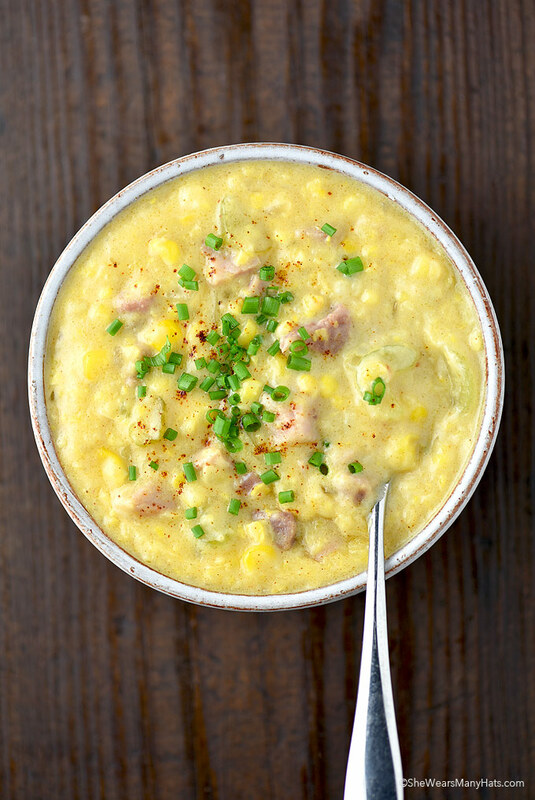 If you have leftover ham, this Ham and Corn Chowder recipe is just the place it needs to land. And it couldn’t be easier to make! Really. This hearty chowder can be made from start to finish in about 30 minutes. Let it linger longer if you’d like. 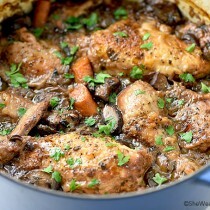 Heat up a dutch oven, add a few ingredients, and with a little bit of sautéing, some stirring and simmering and you are done. 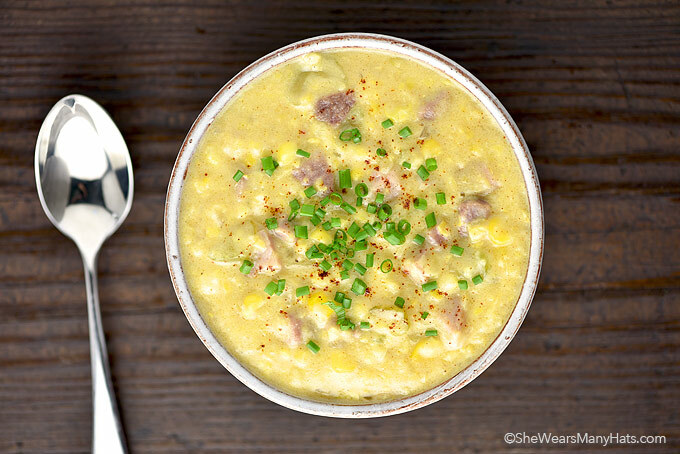 That is all it takes to get this scrumptious Ham and Corn Chowder together and on the table. It really is so very easy! 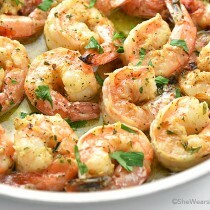 Serve it with a big tossed salad and some Cheddar Jalapeno Cornbread Muffins and you’ve got yourself one fabulously satisfying meal. This super easy chowder made with ham and creamed corn is hearty and satisfying. 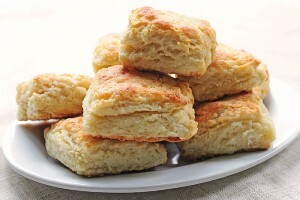 Melt butter over medium heat in a Dutch oven or large saucepan. Add ham, celery and onion and saute until onion is tender, about 5 minutes. Stir in cream style corn, half and half, garlic powder, salt, pepper, paprika and cumin. 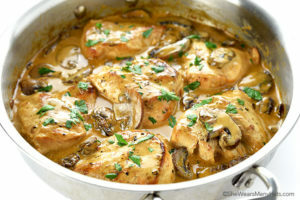 Bring to a simmer and cook for 20 minutes, stirring occasionally. Salt and pepper to taste.